Fernando Barrientos brings over 26 years of experience in the construction industry as a licensed electrician to his home inspection career. He holds the VCHI designation of the Virginia Department of Professional and occupational Regulation. 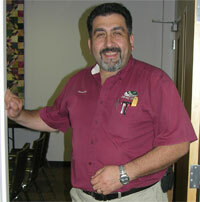 Fernando is a long-time certified member of the American Society of Home Inspectors (ASHI), and is active in his local Chapter (NOVA ASHI). Fernando is a member of the Virginia Association of Real Estate Inspectors (VAREI) and an affiliate member of the Dulles Area Association of Realtors. He is certified by the National Environmental Health Association's (NEHA) National Radon Proficiency Program (NRPP). Fernando Barrientos is a native Spanish speaker with strong English speaking skills as well.